Croatia is connected to European cities with regular, seasonal lines, charter and low budget flights for easy travel to Croatia. If arriving by plane from almost every European or international airport in the season you have the seasonal and charter flights to Croatia. Direct charter flights to the largest touristic destinations: Split, Dubrovnik, Rijeka, Zadar, Pula, Brac, part of regular flights are via Zagreb airport. Currently, the only non-European flights to Croatia are from Qatar and Tel Aviv. There are occasional charter flights from Tokyo and Seoul. If coming from North America, you will have to transfer at a hub such as London or Frankfurt. From Asia, Africa or Australasia, transferring in Doha or Istanbul will be quicker than back-tracking through the main European hubs. Ryanair – flies from Dublin and Karlsruhe-Baden to Zadar. Trieste (for Ryanair flights from London Stansted). You can also use Venice Marco Polo (for British Airways flights from the UK) or Venice Treviso (Ryanair from Stanstead). Ancona is also an option (Ryanair from Stanstead) for those who want to take ferry or hydrofoil to Zadar and Split. Ryanair also flies to Pescara which is a short drive away from Ancona. For entry and driving through Croatia you need valid driving license and a insurance green card. During summer months traffic at the border entrances is more densely, especially on weekends, what can cause short hold ups. Toll is charged on the highways and some bridges to islands. You can reach Croatia by car in several ways, by roads or by ferry. 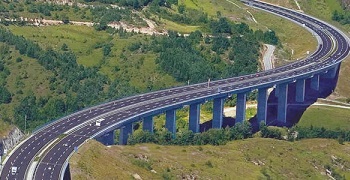 By motorway from the direction of Slovenia or Hungary via Zagreb or by Adriatic Highway from Italy and Slovenia via Rijeka, or by motorway A1. 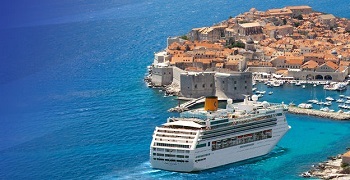 When travel to Croatia you can also arrive by sea using the ferry-shipping lines along the coast from Rijeka-Split-Dubrovnik, from all of the islands as well as from Italian cities: Ancona, Bari, Pescara, are very good connected by both fast and ferry-boat connections to Split, Dubrovnik, Rijeka, Zadar. 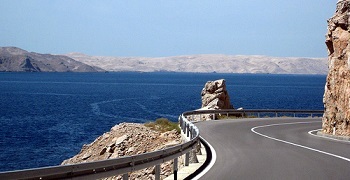 Among useful links (on the right) you can find route planners for a detailed plan of your way to places in Croatia. Croatian Automobile Club (HAK.hr) website provides information about: Traffic and Road Conditions, Digital map of Croatia with route planner and weather forecast, webcams, petrol stations, medical assistance, banks, ATM, shopping, parking, police, campsites, tourist boards, national parks… Content is available in Croatian, English, German and Italian. When driving in the rain, you should adjust speed to conditions on wet roads. Driving with headlights is not obligatory during the day (during Daylight Savings Time; it is obligatory during winter months). Use of mobile phones while driving is not permitted. Maximum permitted amount of alcohol in blood is 0.5 %. Use of seat belts is obligatory. Ferries run more frequently in the summer months, and service varies by day of the week and by season. Many lines are designed to suit commuters rather than tourists, so be sure to check the schedule in advance. Jadrolinija is the Croatian National ferry company. 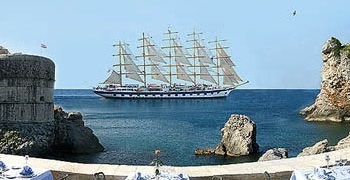 It operates among the coastal cities and islands of Croatia, and it runs several routes between Italy and Croatia. Schedules vary by day of the week and by season. Coastal ferries include two types of boats. “Car ferries” are larger boats designed to transport vehicles and passengers. They are slower, and more expensive, but with more extensive facilities (e.g. restaurant) than the smaller boats. “Foot ferries” (also called fast ferries, fast boats, passenger ferries, or catamarans) are less expensive and faster, and they do not carry vehicles. Bicycles can be transported on car ferries only. G&V Line is a Croatian company based out of Dubrovnik. It runs fast ferries/catamarans along the Croatian coast. Bicycles may be accepted at the captain’s discretion. Venezia Lines has regular catamaran connections to travel to Croatia: Venice to Poreč, Pula, Rovinj, Rabac.